Condensation of quinoline-5-amine with furan-2-carbonyl chloride in propan-2-ol afforded N-(5- quinolyl)furan-2-carboxamide, treatment of which with an excess of P2S5 in anhydrous pyridine led to the formation of the corresponding thioamide. 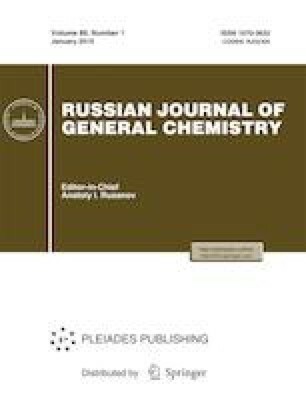 Oxidation of the latter with potassium ferricyanide in an alkaline medium furnished 2-(fur-2-yl)thiazolo[4,5-f]quinoline. A plausible mechanism for its formation was proposed. The reactions of electrophilic substitution (nitration, bromination, formylation, acylation) of the obtained N-(5-quinolyl)furan-2-carboxamide were studied. Russian Text © A.A. Aleksandrov, M.M. El’chaninov, D.A. Zablotskii, 2019, published in Zhurnal Obshchei Khimii, 2019, Vol. 89, No. 1, pp. 45–50.